The tragic loss of David Grotberg, sophomore, trumpeter, from the Baylor University Golden Wave Band this past Friday sent shock waves through the band world. Many programs quickly sent their condolences through twitter and facebook while others dedicated their shows to the Baylor Band and David. 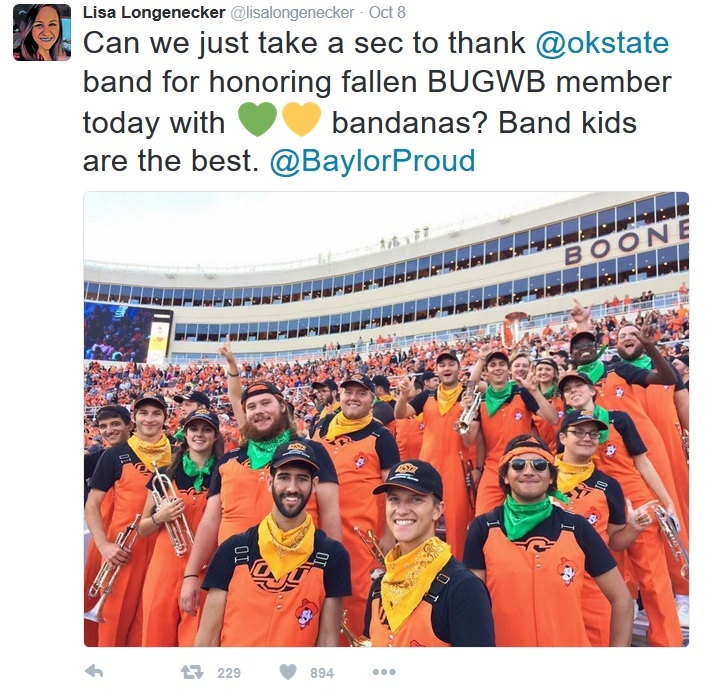 The Oklahoma State Cowboy Marching Band rallied together to buy green and yellow bandanas and wore them in the stands to pay tribute to David. This is just another great example of how incredible the band family has become. Our hearts remain in Waco for the Baylor Band and David's family.